The visual surface inspection detects the smallest flaws, helping you to produce workpieces with consistently high quality. 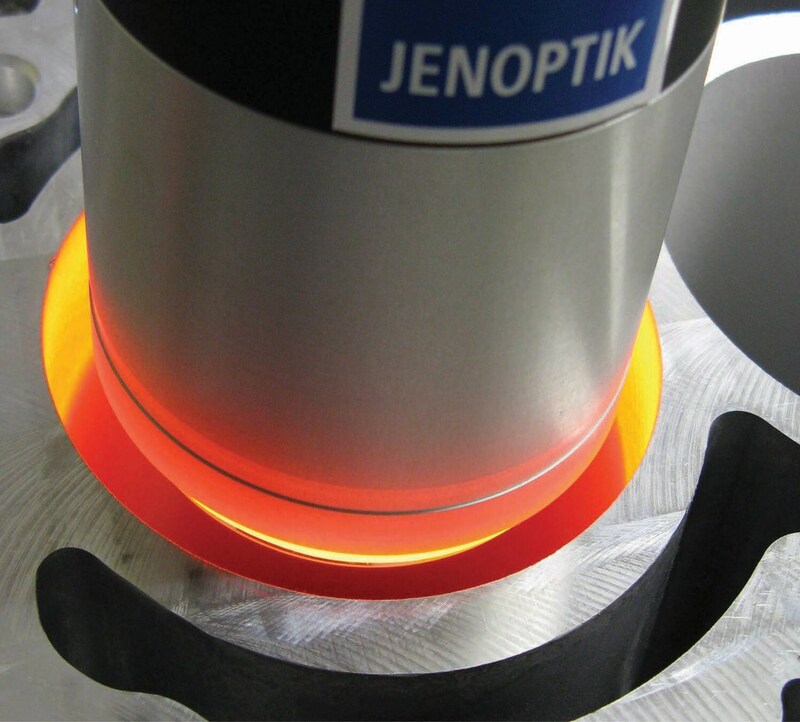 Visual surface inspection from Jenoptik delivers 100% quality control in the production of workpieces, ensuring consistently high quality. The procedure is not dependent on the operator and is reliable. The high-resolution camera systems precisely check your workpieces and detect the smallest flaws. Thanks to the high inspection rate, the inspection can be integrated into the line, and matches cycle times, saving you costs in production. The two inspection systems, Visionline IPS B10 and IPS B100, are ideal for internal bore surfaces. They offer an impressive full 360° inspection. In these automated processes, a CMOS sensor seamlessly scans the inside of the bore hole, delivering high-resolution, high-contrast images. This means you can detect surface flaws such as blowholes, porosities, and scratches even during production. The Optisens software offers your employees a simple and intuitive way of evaluating images. We offer a variety of models so that the system best meets your requirements. The machine can be either manually loaded,or is available as a fully automated version. The robot-assisted version offers maximum flexibility. Our multisensor systems can even handle complex inspection tasks effortlessly– such as the inspection of all external and internal surfaces of engine blocks. High resolution: Even the smallest flaws are detected. 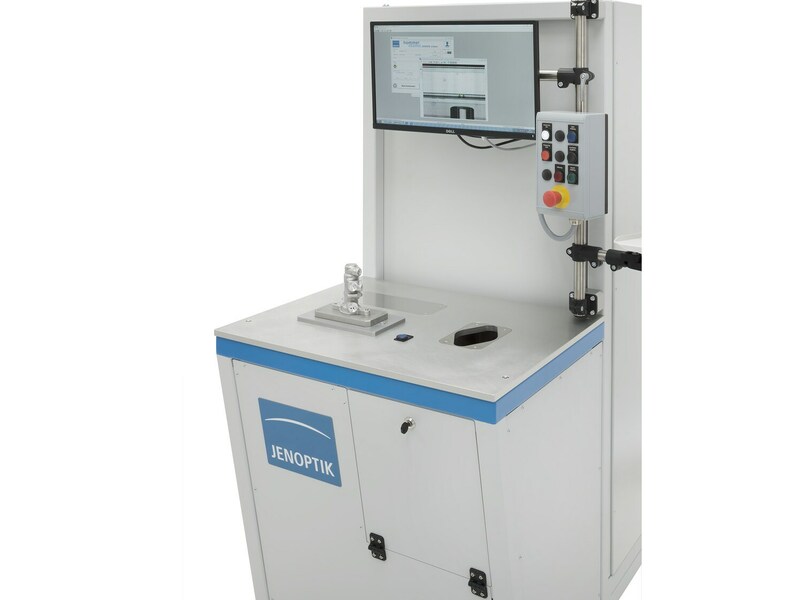 Not operator-dependent: Automatically inspect internal bore surfaces with a full 360° view. High quality: Maintaining the highest quality requirements. Reliable: Quality is continuously checked and remains consistent. Modular: Standalone systems or line-integrated inspection machines. User-friendly: The inspection systems are easy to operate. The Optisens software helps in the evaluation process. Automotive industry, mechanical engineering, medical technology: Visual inspection of functional component surfaces. With the Visionline IPS B5 surface inspection system, even the smallest bores can now be inspected (>5mm). The innovative camera and lighting technology, as well as adaptive, dynamic masking and a high resolution allow for the automated full inspection of interior surfaces within the line cycle time. The measuring systemenables fast inspection of the entire inner bore surface, the inspection and measuring of the inner contours and the evaluation of defects. The sensors' 360° lens creates an image of the entire bore surface. This means the fast and robust sensor fulfills all requirements for full product quality inspections in a concatenated installation in a production line. The IPS B10 test sensor gives you a 360° view of a bore hole, ensuring a complete, undistorted view of the internal bore surface of a workpiece. The image sensor automaticallyandvery quicklyidentifies typical flaws such as blowholes, porosities, and scratches in production, for example on main brake cylinders or pistons. The complete view of the internal surface is made possible by the motion of the test sensor while a CMOS sensor simultaneously and continuously scans the internal surface. The circumference lines in the bore are displayed as circle lines in the image plane of the sensor. The test sensor can be moved very quickly thanks to the high scan rate of the ring sensor. This means very short test cycle times. The test diameterof the IPS B10 is 14mm to 50mm, and the maximum bore depth is 156mm (optionally up to 456mm). The IPS B100 internal test sensor enables automatic inspection of the internal surfaces of cylinder bores with a 360° view of the bore hole. The CMOS sensor, which is inserted into the bore, scans the entire internal surface, generating high-resolution and high-contrast images. This allows you to detect flaws such as blowholes, porosities and scratches in your workpieces even during production. This process requires no rotational movement, which means very fast image acquisition times. Our system software provides fully automatic evaluation of the images of the internal bore surface. The software is easy to understand and intuitive to use. Your employees do not require any prior experience. The IPS B100 means an end to expensive visual inspections. The inspection results are also user-independent and objective. At the same time, the internal test sensor allows complex classifications of the surface flaws; for example, porosities can be evaluated according to indicators such as size, number and frequency. You can specify the quality level at which components are rejected as NOK. The system automatically documents the results in the form of individually customizable test statistics. The test diameter on the IPS B100 is 68 to 110mm, while the bore depth is unlimited. The manual loading systems are ideal for inspections of small series and prototypes. These flexible systems allow users to inspect a range of engine block types efficiently and cost-effectively. 2. For inline engines and Vengines. The inspection sequence is fully automatic. •Installed above the production line, the system is ideal for complete inspections in interlinked processes, minimizing cycle times on the production line. It is designed for inline engines with up to six cylinders. • The fully automatic system can also be integrated in the production line, and does not need to be reprogrammed on each inspection. Simply enter the parameters for new engine blocks on the control panel. The inspection system is thereforeparticularly flexible. Using a range of optical technologies, the multi-sensor system allows you to analyze cylinder bores, cylinder head gasket surfaces and processed side surfaces. The system operates at a line cycle time of just 25 seconds.